Many Christians believe in the inerrancy of the Bible, but don’t believe in the sufficiency of it. The majority of Christians today believe in the inerrancy of the Bible,1 as written in the original languages in the original texts. Many believers who hold to a literal interpretation are ostracized for “taking the Bible too seriously.”2 Even fewer Christians believe that every word3 the Holy Spirit designed into the original text is alive4 and has meaning, and is to be studied5 and understood.6 Many believe that within the Bible there are those things that seem to be obscurities or contradictions – but upon further study prove to be passages that were designed by God to be deep, insightful and faith building insights – not contradictions.7 It would appear that the Holy Spirit designed these signposts to get our attention, so that we would give special consideration to those passages. The genealogy listed in Genesis, chapter 5 is one such example. Primary to any discussion about God’s Word is the fact that Jesus is central to all Scripture. It is through Him that we see the Father8 and His will9. Jesus said, “You search the Scriptures, because you think in them you have eternal life; [He did not dispute that the Scriptures would lead to eternal life] and it is these that bear witness of Me”.10 We learn that, “And beginning with Moses and with all the prophets, He explained to them the things concerning Himself in all the scriptures.”11 Finally, Paul said, concerning Jesus, “Lo I come, and the volume of the book is written of Me”.12 Therefore as we examine any Scripture we should look for Jesus in the text. If not openly, perhaps He is revealed by way of typology, prophecy, metaphor, parable, similitude, teaching, story, history, object lesson, or any other type of teaching tool God would chose to employ. 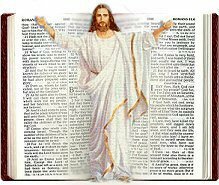 There is a wise old saying: “If any Scripture seems murky, unclear, or confusing, put Jesus in the middle of it and it will make sense.” All Scripture is either about Jesus’ First or Second Coming, His mission, His personage, His position, or His coming possession. Genesis chapter 5 speaks about Christ’s First coming, it uses the names of the first 10 generations of Adams lineage to teach about the gospel. Genesis chapter 5 contains the genealogy of the first ten generations of man, starting with Adam and ending with Noah. The following is a reproduction of Chuck Missler’s teaching on Genesis 5 (Used with permission), which correctly translates the root meanings of these names. Root meanings are not listed in Strong’s Concordance, Vine’s, or other Word studies (a Dictionary of Old Testament Proper Names is a good place to start). The linguistics of root meanings are difficult at best, even for those fully trained in old Hebrew, pre-vowel points, rounded script. Consequently, when we examine the Genesis 5 genealogy, it shows us a miraculous example of the Bible’s evidence of design. An all-knowing, all-powerful God whose exists outside of our time domain could only have engineered it. Chapter 5 of Genesis lists the first generations of man. Since the ten Hebrew names are proper names, they are not translated but only transliterated to approximate the way they were pronounced. The meaning of proper names can be a difficult pursuit since direct translations are not readily available. Many study aids, such as conventional lexicons, can prove superficial when dealing with proper names. Even a conventional Hebrew lexicon can prove disappointing. A study of the original roots, however, can yield some fascinating insights. The meaning and significance of the original roots are not free of controversy and are subject to differing interpretations. The first name, Adam, comes from adomah, and means “man.” As the first man, that seems straightforward enough. Kenan’s son was Mahalalel, which means “blessed” or “praise;” and El, the name for God. Thus, Mahalalel means “the Blessed God.” Often Hebrew names included El, the name of God, such as Dani-el, “God is my Judge,” Nathani-el, “Gift of God,” etc. The Flood of Noah did not come as a surprise. It had been preached on for four generations. But something strange happened when Enoch was 65, from which time “he walked with God.” Enoch was given a prophecy that as long as his son was alive, the judgment of the flood would be withheld; but as soon as he died, the flood would be sent forth. It is interesting that Methuselah’s life was, in effect, a symbol of God’s mercy in forestalling the coming judgment of the flood. It is therefore fitting that his lifetime is the oldest in the Bible, symbolizing the extreme extensiveness of God’s mercy. Lamech, of course, is the father of Noah, which is derived from nacham, “to bring relief” or “comfort,”(l) as Lamech himself explains. Man [is] appointed [to] mortal sorrow [;] the blessed God shall come down teaching [that] His death shall bring the despairing comfort [or rest]. Missler, Chuck, Cosmic Codes: Hidden Messages from the Edge of Eternity, Koinonia House, 1999. Pink, Arthur W., Gleanings in Genesis, Moody Bible Institute, Chicago, IL 1922. Stedman, Ray C., The Beginnings, Word Books, Waco, TX 1978. 1. II Timothy 3:16, 17. 2. Psalms 119:89 ~ “LAMED. 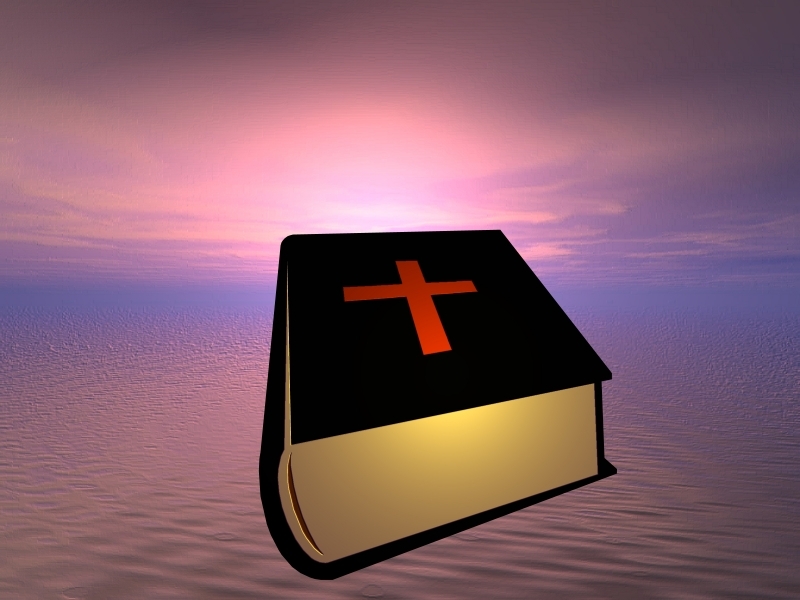 For ever, O LORD, thy word is settled in heaven.” ~ Psalms 119:89. The 119th chapter of Psalms is the longest chapter in the Bible, and addresses but one subject, the Word of God, both the figurative and literal uses; the spoken Word of God, and the written Word of God – though the written Word of God is the theme of this chapter. The word: “word” is used 38 times (Psalms 119:9, 11, 16, 17, 25, 28, 38, 41, 42, 43, 49, 50, 58, 65, 67, 74, 76, 81, 82, 89, 101, 105, 107, 114, 116, 123, 133, 140, 147, 148, 154, 158, 160, 161, 162, 169, 170, 172. ), there are two different Hebrew words translated into the English “word,” (Hebrew: dabar and omer). They are used both as synonyms for the Law, but also literal in understanding the spoken word, as in speech. There are a total of 8 synonyms within this chapter (precepts, ordinances, promise, commandments, statutes, testimonies, judgments, and word – see http://www.cuttingitstraight.co.uk/psalm-119/structure-subject-and-synonyms-of-psalm-119), which refer to the Law of God. However, we must remember that the Law of God is not merely the 10 Commandments; or the 613 commandments of the Torah, but all that God says. For which words of God are we NOT to follow, which words hold NO value. One might say that everything that God says is law because there is no wiggle room, we are to obey. My point is this: every single one of God’s words are important, and are to be observed. Does God speak or act in vagueness, He is never arbitrary in any way – No. God is completely righteous, without error; and therefore by necessity precise in everything He says and does. 5. II Timothy 2:15; Proverbs 25:2. 6. Matthew 13:23; Psalms 119:27. 9. John 6:38, 5:30, 4:34; Matthew 12:50. 12. Hebrews 10:7, which was quoted from Psalms 40:7, which Christ fulfilled. b. Genesis 4:26 is often mistranslated, many versions incorrectly render it: “…then began men to call upon the name of the Lord.” If we examine the most ancient reliable translators, we discover that Enosh was correctly named “mortal” or “miserable,” as idolatry started then. Other examples are: Targum of Onkelos, translates:“…desisted from praying in the name of God.” Targum of Jonathan renders: “surnamed their idols in the name…” In addition, Kimchi, Rashi, and other ancient Jewish commentators agree. Jerome as well indicated that this was the opinion of many Jews of his day. Maimonides, in his Commentary on the Mishna (a constituent part of the Talmud), A.D. 1168, ascribes the origin of idolatry to the days of Enosh. d. These were discussed in our book, Alien Encounters. f. “Muth,” death, occurs 125 times in the Old Testament. g. See Pink, Jones, and Stedman in Sources (above). k. Genesis 4:23; “For I have slain a man to my wounding” (also Rabbinical sources, Re: Kaplan, et al.). m. Isaiah 46:10; Revelation 21:6; 22:13.
n. Job was far earlier than even the books of Mose. I’ve been fascinated with that Composite List rendering God’s plan of redemption through the Hebrew names since the first time it was brought to my attention, thinking in a Missler study, hey great post Brent!